Suzanne Lawson has a proven success record in working with nonprofit organizations in New Mexico, and in 2015 launched SL Consulting, a management consulting business focused on strategic fundraising support, marketing & communications, and volunteer engagement for nonprofit organizations. In this role, Suzanne has worked with national, regional and local organizations providing fundraising staff training; leading board strategic planning; developing engaging online content; managing educational symposiums and special events, and more. Suzanne has been recognized as a New Mexico Business Weekly (now Albuquerque Business First) Forty Under 40, and as a YWCA Woman on the Move. She also received the American Heart Association’s Outstanding award for Achievement in Fundraising. Suzanne has a Bachelors Degree in Journalism, Public Relations from Arkansas State University, and an MBA, Marketing Concentration from the University of New Mexico. 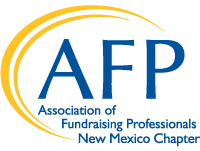 She is one of only 26 Certified Fund Raising Executives (CFRE) in New Mexico, and is a Fellow of the Robert Wood Johnson Foundation where her work focused on nonprofit leadership and equal access to healthcare in New Mexico. She is past Board Chair of Community Heath Charities of New Mexico, and past Vice Chair of the City of Albuquerque's ABQ Volunteers Advisory Board. Suzanne served as Co-Chair for the 2017 National Philanthropy Day, and chaired the 2018 event.